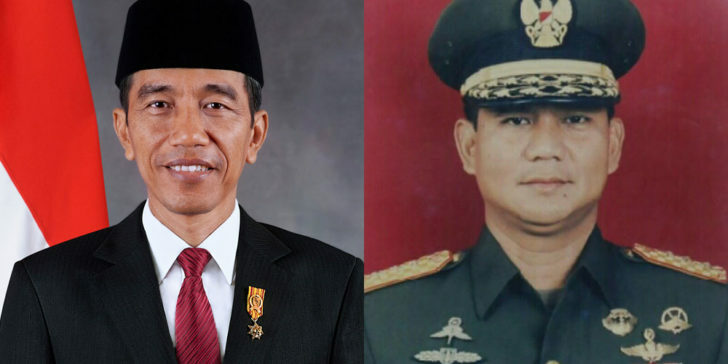 Joko Widodo or Prabowo Subianto? On 17 April 2019, 190 million Indonesian voters will be heading to the polls to elect their next President and Vice-President. Two hopefuls will face each other, the incumbent president Joko Widodo and the former military leader Prabowo Subianto. At this point, Widodo is the safest choice for betting, but Prabowo’s road to victory is also a possibility. For the first time in Indonesian history, the presidential election will take place on the same day with general election. The nomination for presidential and vice-presidential candidates has closed in last August. The upcoming election will be a rematch of the 2014, in which Widodo defeated Prabowo. Internet sportsbook news in Indonesia noted that the current President Joko Widodo is the first president from outside the political and military elite. He is once again facing Prabowo Subianto, the former lieutenant general and establishment figure chairing Gerinda Party. At 22Bet Sportsbook Widodo is the favourite with 1.28 odds to win and 3.34 to lose. Yet it is unwise to think Widodo will enjoy an easy win when betting on Indonesian presidential election. Prabowo (3.34) can still bring Widodo down on things like economy, religion and security. A recent survey by Roy Morgan showed that Joko ‘Jokowi’ Widodo is still leading with 56.5 percent, but 0.5 percent lower than what the Conversation reported in last December. Whereas, his opponent Prabowo rose by the same margin to 43.5 percent. Widodo also remains enjoying the support of 9 parties out of 16 participating parties in the election. That means Widodo’s coalition still represents 60% of seats in the parliament, and 62% of all votes for the last election. However, creating a huge coalition does not always guarantee a victory. In 2014, it was Prabowo’s coalition that enjoyed the majority of votes. Yet he lost the election. In addition, Jokowi still suffers from Islamist mass protests that took place in Jakarta, 2016. If he survives the election it will be because of his running mate Ma’ruf Amin who carries considerable religious legitimacy. Prabowo who ran and lost to President Jokowi in 2014 is running again. He selected a new vice-presidential running mate, Sandiaga Uno, the current Deputy Governor of Jakarta. Mr. Uno is a young entrepreneur and one of Indonesia’s richest 50 people. Online betting sites in Indonesia suggest that picking Sandiaga will probably attract millennials and raise Prabowo’s chances to win the election. Prabowo and Sandiaga are supported by a coalition that represents 40% of seats and 36% of all votes from the last election. To be represented by the minority is not that bad. Jokowi won the governorship of Jakarta in 2012 with only 20% support in the region. If you think of betting on the next Indonesian President to be Prabowo you should consider his strongman image. You might also question how far his vision in regards to improving the economy will convince the electorate. He will probably attack Widodo for the increase in foreign debt, the inequality, and for the fall of rupiah to its lowest value in more than 20 years. Before you pick your winner in the Indonesia presidential election, check our review about 22Bet Sportsbook.